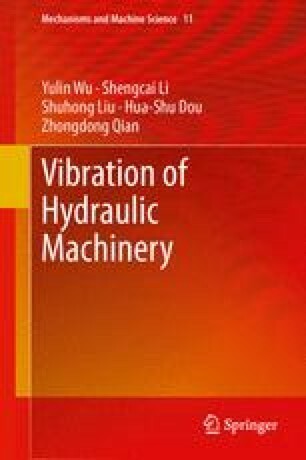 The purpose of this chapter is to provide a theoretical background of vibration in mechanical systems. The theories and mathematical structures presented in this chapter are classical and based on the book by Krodkiewski (2008). In fact, vibration study is rooted in Newton’s Law of Motion. The last four hundred years saw an increased interest in this subject as engineers began to reevaluate earlier formulations and designs in an effort to maximize stability of their particular creation. Wikibooks (2008). Mechanical vibration. http://www.en.wikibooks.org/wiki/mechanical/vibration.